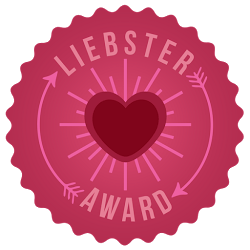 So I got a lovely nomination from Expedition Education (find the blog here) for the Liebster Award. 1. What inspires you to travel? I’ve been lucky enough to grow up with parents who place value in exploring different countries and they’ve instilled within me a deep wanderlust. The world is full of unlimited opportunities to see cultures and sights that you could never have imagined! 2.What destination is definitely not on your list and why? This was the toughest question of them all! I find there is something interesting about most countries I can think of. Of course a lot of political unrest in the world means there are currently countries I would steer clear of but I hope that won’t always be the case. I’m not one for beaches so I think somewhere like the Maldives would be totally lost on me. 3. Why are you writing a blog? What are your long term goals? I started writing the blog as a personal diary of my holidays but I wrote them in a way that others would understand for if I ever decided to make the blog ‘public’. I find that when I travel I spend a lot of time reading travel blogs because I think it’s one of the best sources for information, it gives a truer reflection of the place. I hope my blog offers the same for people visiting my destinations. 4. What do you think are the benefits of technology, especially social media, while traveling? The negatives? Something like Whatsapp is amazing, being able to keep in touch with your loved ones wherever your trip takes you. I tend to stay away from Facebook whilst travelling, I think travelling is too wonderful to be glued to your phone! Apps like Dropbox are wonderful for being able to store photos on though. 5. What is one thing you learned in grade school that benefits you abroad? Well maths can certainly help in currency conversion and adding up the bills. Other than that I would say that it is the travelling itself that can teach you so much. I know my geography knowledge has never been taught to me in a classroom! 6. Favourite person, or people, to travel with and why? My partner, Adam. I’ve holidayed with many people over the years and there is always a tension of sorts. I like early mornings and chilled evenings, I like to walk everywhere, I like to be on the go and sometimes that can be different to what others want. With Adam he’s totally on my wavelength and I would never want to travel without him. 7. What is your favourite personal travel story? 8. Any adventure excursion you’re dying to do? So many! I’m a big animal lover so would be so excited to do something like a safari. Adam dreams of the Galapagos Islands and Madagascar. Something like seeing the Mountain Gorillas in Rwanda would be beyond belief. Hopefully we’ll get there one day! 9. Best travel accommodations and for what reason? I’m a huge fan of airbnb, when we visited Japan we couldn’t have afforded it without staying in an apartment and in the last 2 years I’ve used the site a number of times. I think it allows you to have a central location but at a fraction of the cost. I think as well, with the right host, you can pick up a much better feel of that particular culture from staying in an apartment over a generic hotel. 10. If you could live anywhere in the world where would you live? I find that there is a huge difference in countries you LOVE and countries you could actually live in. I adore the lakes in Italy but couldn’t imagine myself actually living there. There are two places where I really thought ‘Yes, I could live here’ and that was Tokyo, Japan and Carmel, California. Totally different places but I loved their way of life, their attitudes, I could really see myself functioning there. 11. Where to next? Why did you plan this trip? This summer we will be visiting Germany and Austria. Our reason quite simply is because of cheap flights. I realised we could fly round trip from Germany for £15. Austria was only a short train ride away and the itinerary fell into place that way. I’m looking forward to the beautiful scenery and amazing food! I like Helen’s blog because it was a great mix of travel and cooking. Her posts show that travelling can be both cheap and healthy and compliments all her posts with some very appealing photos. A really well written blog with some lovely photos. Their approach to holidays is similar to mine, ‘balanced’ as they describe it meaning they won’t turn their nose up at a hostel but prefer a hotel room and they put money aside for experiences. Too often I read travel blogs that are at opposite ends of the spectrum- budget or luxury- whereas I feel Rob & Kim have it right. Well first of all, great blog name! Having only done their first blog post a month ago I’m looking forward to seeing how this blog progresses. Their posts provide some great reading and already show a variety of destinations. Their blog posts are really detailed, informative accounts of their trip and its these kinds of blogs that I look to the most when I’m planning my trips as they allow you to get a real feel of the place. A great blog with some really beautiful photos and features posts from quite a few locations such as America and Asia. It’s great to read about someone who is interested in immersing themselves in the culture and Wes delivers some great accounts. I really like Willow’s photography and her posts are simple, informative accounts of her trips that range from Vietnam to Venice. Although a fairly new blog Willow seems to have put a lot of effort into already getting lots of great blog posts up, looking forward to seeing how her blog develops. I really like the layout and look of Sahara’s blog. The information presented in her posts is really clear and concise. She uses her GoPro to deliver video content on her blog as well, which is something a bit different. Certainly worth checking out. 1) Have you ever been to a destination that hasn’t lived up to your expectations? 2) Have you ever visited anywhere that has totally taken you by surprise? 3) What is your ultimate dream travel destination? 4) What is your favourite kind of souvenir to buy from a holiday? 5) How much do you prepare before you go on holiday in terms of the itinerary? 6) Where do you recommend people check out on their next trip? 7) Where has your best meal been? 8) What factors make you decide on your next holiday destination? 9) What are your aspirations for your blog? 10) Where was your first ever holiday?